A life blog of myself, Sean, and my pursuits and interests. A little while back a friend of mine donated a beautiful Grey Goose bottle. With the frosted glass and clean-etched goose, I couldn't let this beauty go to waste. 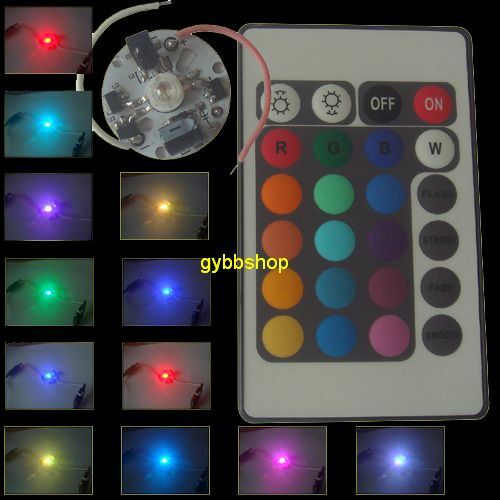 I had a few RGB LED's laying around from the 2012 Cal Poly EE Banquet table centerpieces. These LED's had 3 diodes inside along with a small microcontroller to fade between the colors and create intermediate tones. They're quite nifty, and pretty cheap at that. They can be found from SuperBrightLEDs. Brightness control as well as on/off button. I purchased two of these boards (along with some green LED's for my traffic light project) and all worked perfectly upon arrival. After removing the existing leads, I soldered the leads from a 5V 750 mA wall wart phone charger onto the board. I cut some aluminum foil to closely match the diameter of the Grey Goose bottle. Slathered with thermal grease, the aluminum-backed PCB and aluminum foil couple to make a decent heatsink for the LED. While the the PCB should provide enough thermal dissipation, I didn't want to fry anything when running at full power. After a quick test fit, I hot glued the whole assembly in place. The concave bottom of the bottle provides plenty of clearance for the bulbous LED and large IR receiver. Plug it in and voilà! 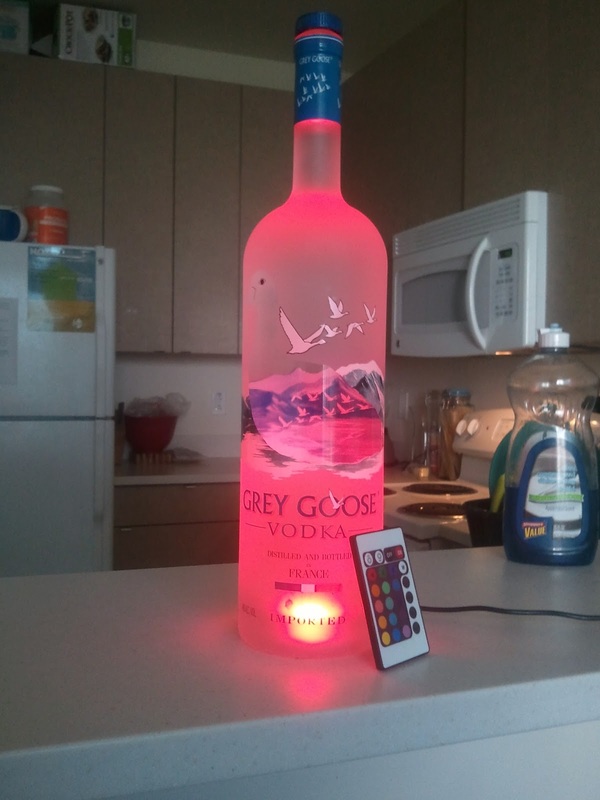 We now have a gorgeous customization multicolor Grey Goose bottle. The modules respond to the same IR codes, so a dozen or so of these could be placed behind bar and all be controlled from one remote. The final product! For those curious, the original contents of the bottle were replaced with plain water in order to comply with Housing regulations. I am going to have a research on rainbow goose which can be a beautiful experience for me. I would add this research into my superiorpapers.com review projects. So that we can say this is a wonderful blog for the readers and they would have benefits. The importance of "measure twice, cut once"
Is it a Dell, or is it LSI? Both! © 2013 - Sean O'Brien. Picture Window theme. Powered by Blogger.